Whether it’s decorating the tree, making sugar cookies or singing carols, Christmas is a time for family to get together. When I was a child, my mom use to have us kids (me and my siblings) and all our friends over for a big sugar cookie night . My mom was awesome in that she would buy rolls and rolls of sugar cookie dough. We would each get our own tray of cookies to cut, create and decorate. Every Christmas eve, we would have Chinese food take out, open one present and top the evening off by gong to mass at midnight. Then when I grew older, it was hot cocoa and Christmas lights on Christmas eve as well as opening one present. The thing about traditions is that although we usually do some of them, we are always adding to it as well. I find keeping some of the old and adding some new makes the holidays a whole lot fun. Now that I have two sons and a husband, the holidays are all about family traditions that we do as well as create each year. We love to drink hot cocoa while we ride around in the car, ooh-ing and ahh-ing over Christmas lights. We make Christmas cookies and hit up the closest holiday fairs. We decorate our tree together as well as the house. We drink egg nog or mulled cider while making a colorful frosted sugar cookies. On Christmas eve, my kids get new pajamas and they get to pick one present to open. We also put out reindeer food with the Santa plate. It’s no wonder the holidays are so magical and exciting and busy and fun! There is so much to do and enjoy and it’s here before we know it! Here are some more ideas for you to incorporate into your Christmas. JESSE TREE – Learn about the ancestors of Jesus. Each day tag up an ornament on a tree and read the scripture passage that goes along with it. HOMEMADE ORNAMENTS – some of my favorite ornaments are handmade by my kids. They will always be on our tree. Here is a site with some ideas. SALT DOUGH ORNAMENTS – Another type of ornament to make with your kids. Think thumbprint or handprints and paint them when dry! Here is a site with the recipe. SUGAR COOKIE NIGHT – Roll out some sugar cookie dough, use cookie cutters (or not! ), bake, frost and add some sprinkles! THE 12 BOOKS OF CHRISTMAS – Open one holiday book each night for 12 nights before Christmas. Think new-to-you books by borrowing books from the library as well as a few new holiday titles. CUT DOWN YOUR OWN TREE – Check out this site to find a place near you! As well as where to recycle it when Christmas is over. VOLUNTEER – United Way is a good place to start. They usually have a holiday wish list that you can find a way to help out this Christmas season. READ TOGETHER ON CHRISTMAS EVE – My mom once read the “The Polar Express” on Christmas Eve and it’s something I will never forget. “Twas the Night Before Christmas’ is a popular read on Christmas eve as well. MAGIC REINDEER FOOD – A bag of magic reindeer food is fun and makes it helps Santa and his reindeer can easily spot your house on Christmas eve. KEEPSAKE ORNAMENT EACH YEAR – Give an ornament to each child every year. We usually pick something that is relevant to the events of the past year. ONE GIFT ON CHRISTMAS EVE – Oh it’s so hard to wait until the morning. Opening one gift is a good way to get my kids to bed. FAMILY PAJAMAS – I love to give my husband and kids pajamas on Christmas eve, this way I know they will be wearing matching pajamas on Christmas morning when I take pictures. Besides, who doesn’t love new pajamas? CHAIN LINK COUNTDOWN – we love-making a chain link out of strips of construction paper and rip off one as every day passes. This helps with smaller children to know when Christmas day will be here! WATCH CHRISTMAS SPECIALS – From Frosty to Santa Claus is Coming to Town, there are many classics as well as some new specials to look forward to this season. We love Freeform’s 25 Days of Christmas and on their Facebook page, they have a whole month of the specials to look forward to watching. GINGERBREAD HOUSE – Of course you can make one from scratch or you can buy a kit. Either way, it’s sure to be a delightful way to spend some time together. DRIVE AROUND AND FIND CHRISTMAS LIGHTS – We love getting in the car, with the kids in their warm pajamas, a thermos of hot cocoa and drive up and down neighboring areas seeking out the best houses with Christmas lights. MAKE BREAKFAST AHEAD OF TIME – On Christmas morning, the last thing on my mind is usually breakfast. We’re opening gifts, pulling toys out of packaging and enjoying the fun of Christmas morning. Then it hits us, we’re hungry and now we need to pull ourselves away to make breakfast. Check out my Pinterest board of Christmas Morning Breakfasts easy to have everything prepared the night before Christmas morning. VOLUNTEER TO BE A SALVATION ARMY BELL RINGER – You know those folks that stand out in the cold with the red Salvation Army bucket ringing a bell? They volunteer their time to do that! Here’s how you can too! ADVENT CALENDAR – Counting down Christmas is so much fun when you can open a door on a house or other advent calendar and it reveals LEGOs or a piece of candy. My kids take turns opening a wooden house we have each year and it reveals a fun treat! TOYS FOR TOTS – In existence since 1991, the U.S Marine Corps Reserve Toys for Tots Program is looking for a new unwrapped toys. ATTEND A CHURCH SERVICE – We don’t go to church as much as I sometimes wish we would, however, I love attending a church service during Christmas. Honoring Jesus, singing the holiday hymns and just worshipping with everyone is a great family tradition to add this year. THE CHRISTMAS PICKLE – An ornament in the shape of a pickle is hidden and the first person to find it is said to get a special present from Santa. Here is more information on this Christmas tradition. TAKE A RIDE ON THE POLAR EXPRESS – Since the movie came out, trains have been inviting families to come take a ride on their train to the North Pole to visit Santa. We rode on the Polar Express in New Hampshire and my 8-year-old son at the time absolutely loved it. It was pure magical for kids and adults. A search on Bing or Google for ‘Ride the Polar Express’ will help you find a train near you. So there we have it! 25 Christmas traditions you and your family can choose from to help make the season more festive. If you already do one or more of these traditions, perhaps this list will help you to think of more fun traditions do to together. Are there any other Christmas traditions your family has that I do not have listed? Please share in the comments below! I love making salt dough ornaments. I have not done it with my son as we are always on the run. This year I am going to make time! Yes we do too and then painting them after they dry. Have a great holiday! These are great ideas! I’ve got to get some good traditions this year and try them out with my children. Thank you! I hope these help to give you some inspiration! This is a great list of traditions! The Polar Express ride sounds amazing! My daughter and I go to see the Nutcracker every year, this will be our 4th year! Oh yes, how could I forget about the Nutcracker! What a great tradition. Thank you for sharing yours with me! I think seeing the nutcracker whether as a performance or a movie is also a tradition for many countries. Although there are many variations and alternatives now. Great list! Love how volunteering is included! We do the Pjs and I love the train idea. Going to check that out for sure! Great list! We do a lot of these every year, but not all of them. The pickle is always a fun start to Christmas morning! Love your list! I think we are going to try the Polar Express this year. Great! Have a great time! Have some cookies and cocoa for us! Happy Holidays! These are absolutely lovely. I might try the pajama idea this year! Awesome! Great for matching PJs for pictures! Happy Holidays! I have not heard of the pickle ornament. These all are great ideas. We do some of them. Christmas always seems magical. I love the salt dough for handprints. I love the idea of the pickle ornament but think it would cause quite the competition between my boys but it seems like a fun idea! I love the salt dough as well! I love all the family memories that you shared from your childhood. I want to try making reindeer food! Thank you – we love the reindeer food. It’s a great thing to do before bedtime on Christmas Eve. The kids love spreading it all over the front lawn for Santa and his reindeers to see on Christmas Eve. Marry Christmas! We do many of these ideas, and you’re right, they are so wonderful and meaningful. I’m kind of nostalgic this year, though, because this is the first year that I won’t be carrying on my mother and grandfather’s tradition of tamales and margaritas on Christmas Eve. Pop started it in the 50s as a fun way to celebrate on Christmas Eve and invited family, friends, and neighbors. Eventually we moved it to our house and my mom took over. I’ve been married six years now, and we’ve hosted it three times in six years. But as cousins, nieces, and nephews grow older and have families of their own, I guess it’s inevitable that people start to go different directions. It’s as it should be. So even though we won’t be hosting a party, you can bet I’m going to find a way to have tamales (with rice, beans, and chili) and margaritas in my home every Christmas Eve. For me, it just makes the holiday! Wow! Having tamales and Margaritas sounds like a fabulous way to celebrate Christmas Eve. Thank you for sharing your tradition with me. I hope you have a mini celebration and I can read it on your blog? All of these are great ideas! I love traditions, and so do my children. They anticipate the traditions every year, and usually start reminding me the day after Halloween! Thanks Giving Day starts the holiday traditions and we do something festive every day until Christmas. We’re always looking for new ideas to fill our month with entertainment and family time! It’s our favorite time of the year! Thank you – I hope this helps to give some inspiration for some more traditions! Happy Holidays! Hey there! I’m here from the 10K Challenge. These are some great ideas! Thank you so much! I love that you provided all the links to the recipes and ideas along with your own ideas and traditions, as well as the freebie with email sign up. That’s something I’m working on incorporating. Hi Rebecca! Thank you for stopping by. I love the 10K challenge and like you, still working on all the blog comments! Such a great way to make connections! Following you now on Twitter. 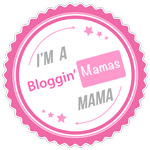 I’ll stop by your blog as well and check it out! Thank you for commenting and hope to connect more in the future!